The second BUCS event on Saturday 2nd and Sunday 3rd March proved to be mixed for the club. It was the first BUCS Head for our Novice crews, and the first at Gloucester Rowing Club, on a stretch of water similar to the Bridgewater Canal. We hoped it would be a successful weekend for all crews. However, the challenging 110-degree bend affected a few of our results due to a lack of experience, and poor boat manoeuvrability. On Saturday difficulties led to our Novice Men’s 8+ finishing 33rd and 35th, with the B boat finishing ahead of the first boat due to a crash. The next boat to race was the Novice Women’s 4+, they put in a good performance and came 21st. 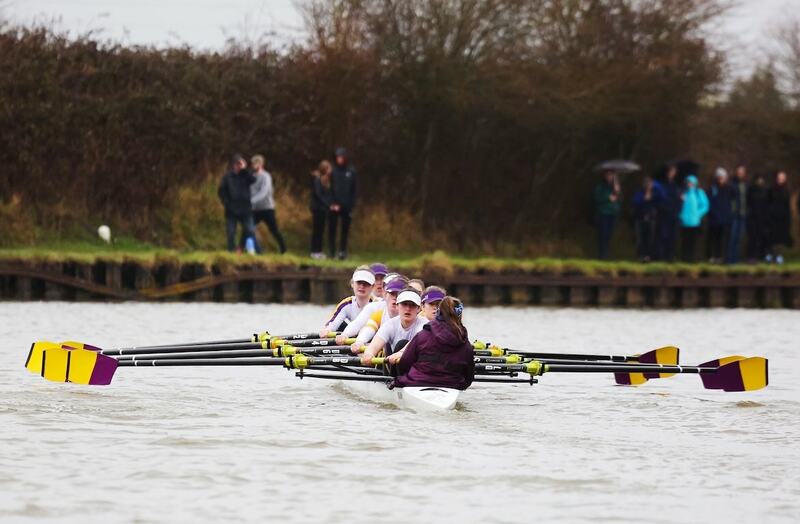 In the second division we had a Novice Women’s 8+ that finished 29th after some steering difficulties, and two Novice Men’s 4+ who finished 22nd and 29th. After a fairly disappointing day we hoped Sunday would prove better, however with Storm Freya set to hit Gloucester in the afternoon it did not look promising. The Senior Women raced first in the 8+ finishing 25th. The Senior Men’s quad were next to race and put in a good performance coming 13th out of 25. Due to worsening weather the Senior Men’s 4+ were on the water for over four hours, when they finally were able to race, they placed 26th. Unfortunately, the weather continued to worsen with winds forecast to get stronger, consequently Divisions 3 and 4 were cancelled. We would like to thank everyone involved in the organisation of the day. Especially all clubs based out of Gloucester Rowing Club, Ruby Jordan, Emeila Cole, John Impey, Miles McEwen, and all committee members involved in organisation and coaching.